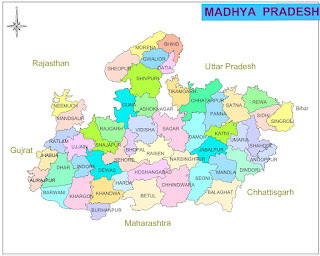 » Madhya Pradesh (MP) (meaning Central Province) is a state in central India. » Its capital is Bhopal and other large cities are Jabalpur, Gwalior, and Indore. » Madhya Pradesh is the second-largest state in the country by area. » With over 75 million inhabitants, it is the fifth-largest state in India by population. » It borders the states of Uttar Pradesh to the northeast, Chhattisgarh to the south-east, Maharashtra to the south, Gujarat to the west, and Rajasthan to the north-west. » Its total area is 308,252 km². Before 2000, when Chhattisgarh was a part of Madhya Pradesh, Madhya Pradesh was the largest state in India and the distance between the two furthest points inside the state, Singoli and Konta, was 1500 km. » The area covered by the present-day Madhya Pradesh includes the area of the ancient Avanti mahajanapada, whose capital Ujjain (also known as Avantika) arose as a major city during the second wave of Indian urbanisation in the sixth century BCE. 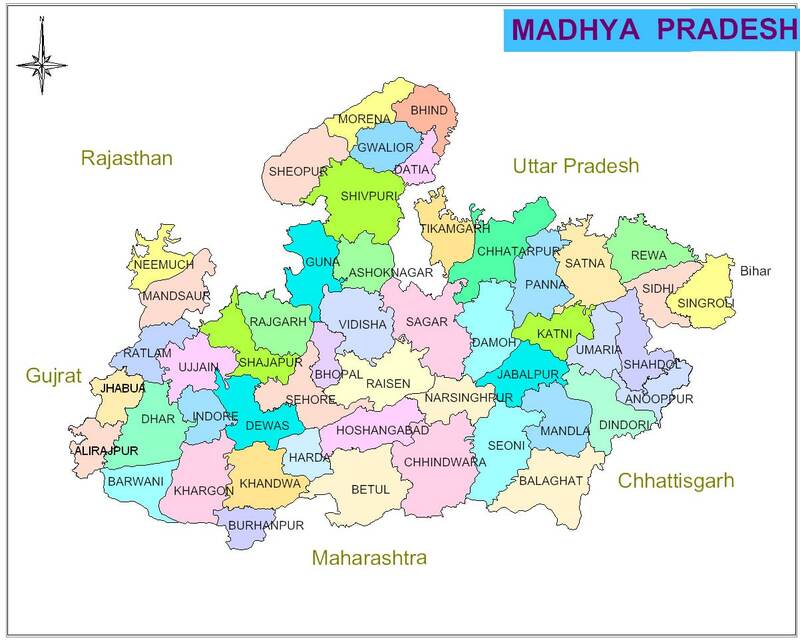 » Madhya Pradesh has a 230-seat state legislative assembly. » The state also sends 40 members to the Parliament of India: 29 are elected to the Lok Sabha (Lower House) and 11 to the Rajya Sabha (Upper House). » The constitutional head of the state is the Governor, appointed by the President of India. » The executory powers lie with the Chief Minister, who is the elected leader of the state legislature. The state is bordered on the west by Gujarat, on the north-west by Rajasthan, on the northeast by Uttar Pradesh, on the east by Chhattisgarh, and on the south by Maharashtra.